It’s hard to fault someone for being selfless. We’re taught to put a high premium on kindness, generosity, and the needs of others. Sharing is one of the first lessons that many of us can remember learning as toddlers. Making a decision based on our partner’s preference or going out of our way for a significant other — even when we’ve had a difficult day ourselves — is sort of the adult equivalent of letting a classmate borrow the crayon that we really wanted to use, no? At any age, these selfless acts are considered fundamentally good. But that doesn’t mean that being in a relationship with a supremely selfless person is fundamentally easy. What happens when a spouse’s unflinchingly self-sacrificing behavior is built, brick by brick, into a wall so airtight that it’s no longer possible to understand the interests and desires that they hold near and dear? Maybe it’s as simple as your partner constantly deferring to you to choose the movie or restaurant, or perhaps they are always willing to talk through the challenges of your day, while never quite opening up about their own. Maybe you feel they are always telling you just what you want to hear. These selfless acts may feel good in the moment, but over time, they’ll limit your ability to authentically connect in your relationship. You may never learn whether they really like Mexican food and comedies best, and you may always wonder if their political views could actually be so similar to yours. 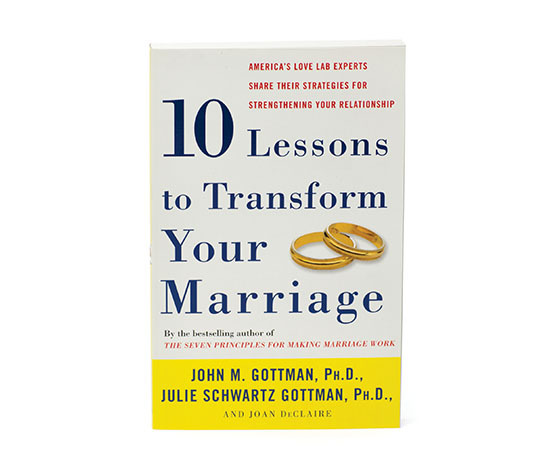 In extreme cases, you may even feel as if you are being stonewalled, which, according to Dr. John Gottman, happens when a listener withdraws from an interaction. Have you ever felt as if your partner’s conversational generosity was simply a tool to shut down the discussion and avoid becoming more fully engaged? Jackie: Where should we go this weekend? Jim: I’m happy to go wherever you want to go! Jackie: That’s great, but I want us to decide together. What would be your perfect getaway? Jim: I will go anywhere you want. Just say the word! Even if this conversation is sealed with a kiss and plans for an amazing weekend trip, the fact remains that Jim’s selflessness comes with a side of disengagement — and there’s no way that this goes unnoticed for Jackie. In order to draw your partner further into more connected conversations, I suggest focusing on the latter two tips. Practicing these skills in your day-to-day interactions may help your spouse to communicate more genuinely — dare we say selfishly? — with you. Here’s how you can apply these principles more specifically with your self-sacrificing special someone. The results may not be immediate, but as you establish a more consistent pattern of open-ended questioning — about everything from restaurant choices to the best way to manage your finances — we’re willing to bet that your partner will begin to realize that you expect them to engage with you at a deeper level. Reestablishing the ground rules for conversations in your relationship may take time, but it will pay off in the long run in the form of a deeper connection with your partner. Perhaps your partner struggles with authentic self-expression because their innermost opinions have never been validated with any sort of intentionality. Assuming you’ve started asking your spouse more open-ended questions, they may have begun opening up about their true preferences and desires. The trick now is to turn toward them (as Dr. Gottman always says) by engaging more fully in the conversation. Show your partner that what they’re saying makes sense to you. If your partner is only taking baby steps away from constant selflessness, take baby steps with them. You can even show empathy for something as simple as your typically deferential spouse’s admission that they prefer Italian food to Mexican food (bear with us, we know this sounds a little crazy). Engaging with your partner in this way shows them that you are paying attention to their needs, and that you may be in agreement with them as often as they are in agreement with you! Start small by validating their restaurant preferences, and watch them become more comfortable asserting their input in more consequential situations. Alli Hoff Kosik is a full-time freelance writer and editor based in Brooklyn, NY. Her work covers a range of lifestyle topics, but she has a special place in her heart for relationships (and shouldn’t we all). Alli and her husband met in eighth grade. During his training to become a Marriage and Family Therapist, Howard Spector couldn't find practice management software that met his needs, so he built SimplePractice.